We are excited for the upcoming “Ljud ljus bild-expo” in Stockholm, 24 – 26 of April. 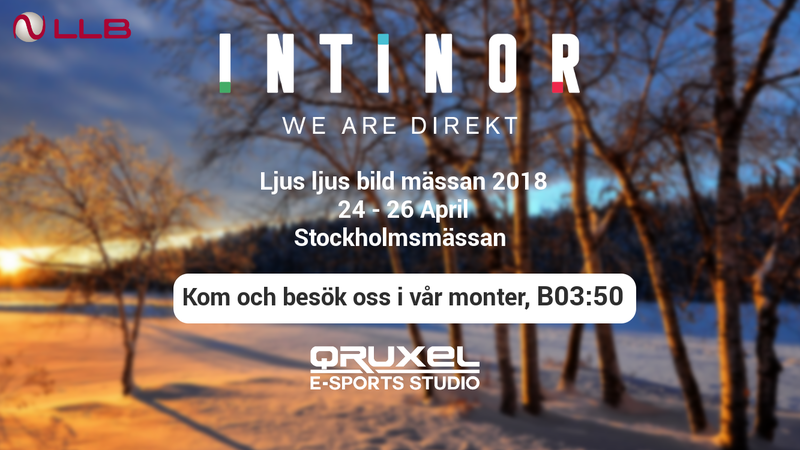 This year we are also inviting Qruxel e-sport studios to our stand, we will show you how our equipment are being used for some of the biggest e-sport events around the world. For your free registration, use the code: “Intinor”, click here. Please contact us, Daniel or Roland, if you want to book a meeting or a demo.